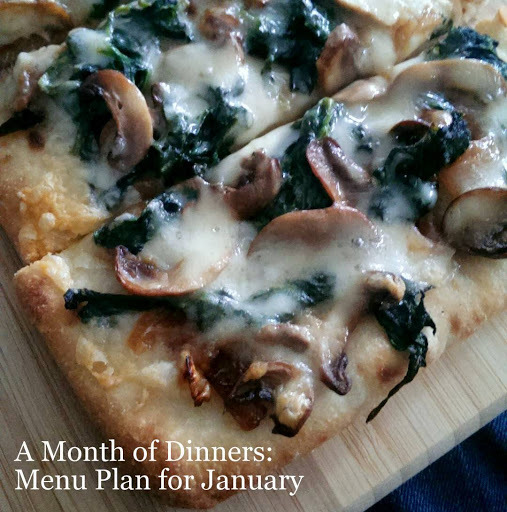 In an attempt to make my life a little easier, I'm planning all of our dinners for January at once. I probably should have drafted a list of food-related New Year's resolutions before putting together our menu plan for January so I could use them as inspiration while deciding what to make for dinner next month. But the truth is, getting dinner on the table and eating more than two bites of it before Caroline begins to show signs that she's ready to go down for the night is enough of a challenge. I don't need any extra pressure to make sure that each meal follows a set of guidelines that I'll likely throw out the window as soon as Stephen starts traveling for work again. With that said, I want to continue our streak of stretching meals so they last a few days (or, at least, until lunchtime the next day), so I've planned for more Leftover Nights. Plus, I know I have a meal or two stashed in the freezer that I can defrost and reheat if I really don't feel like cooking. At any rate, here's what I've come up with for January for the time being. Friday: Dinner Out -- Because tradition!